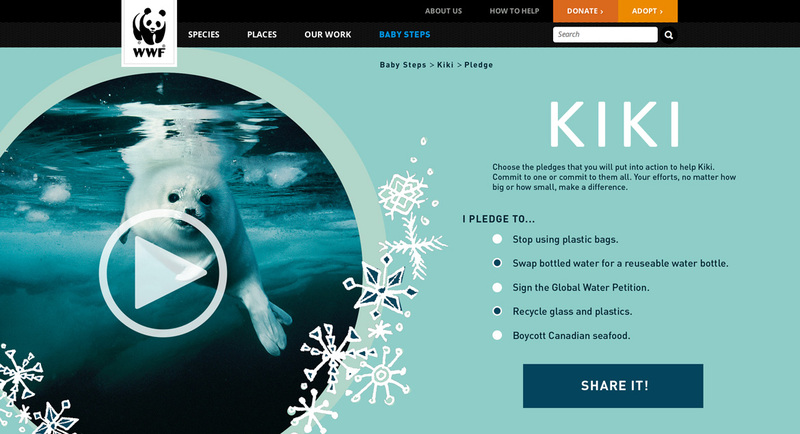 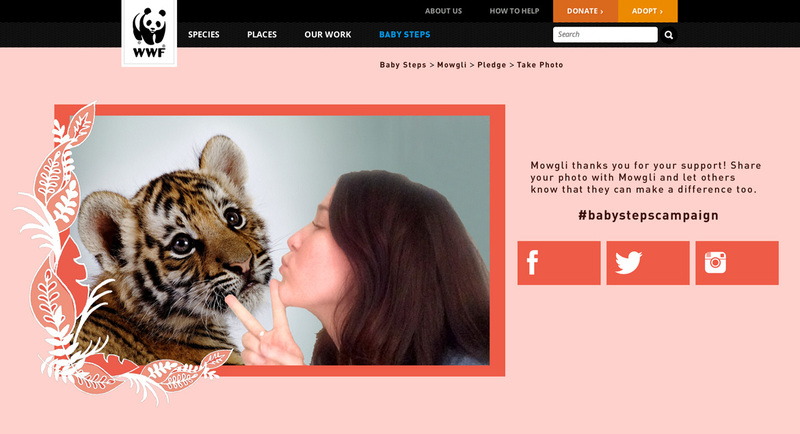 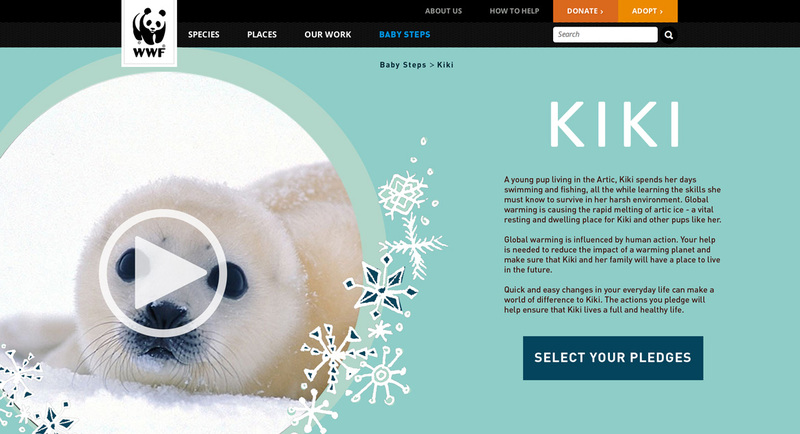 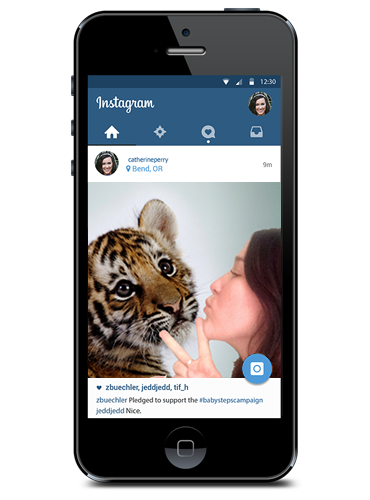 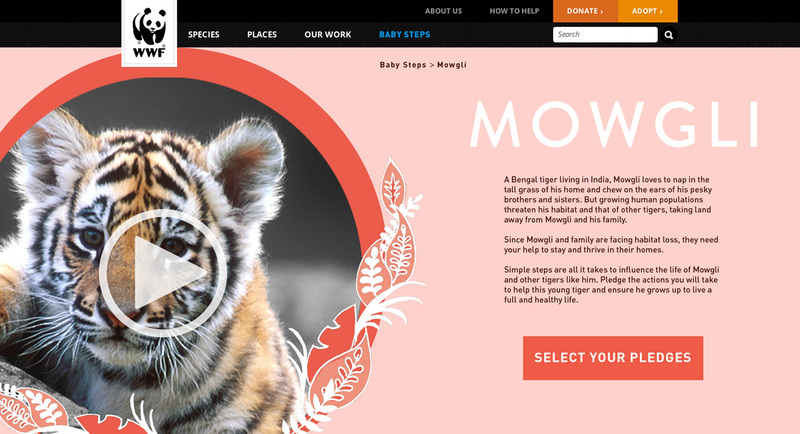 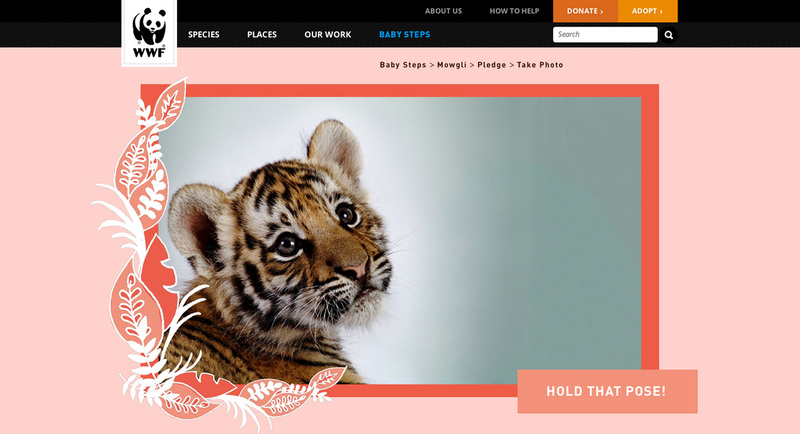 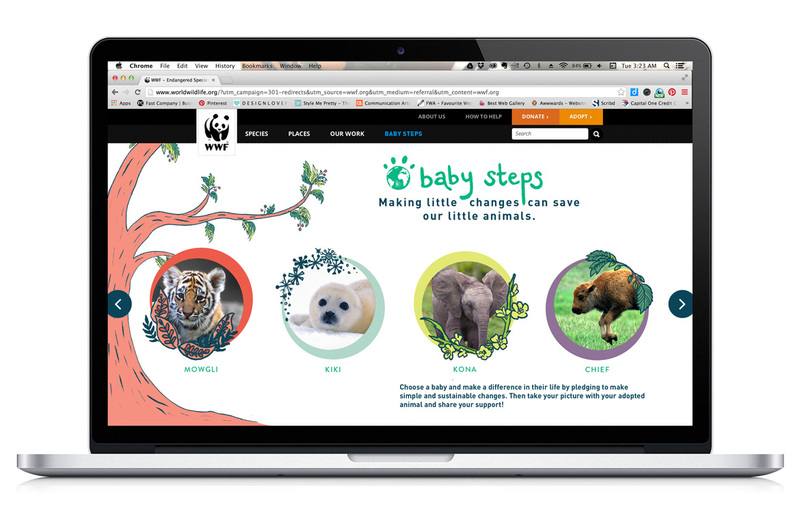 A World Wildlife Fund campaign encouraging young people to make small changes in their behavior that will positively impact the lives of baby animals around the world. 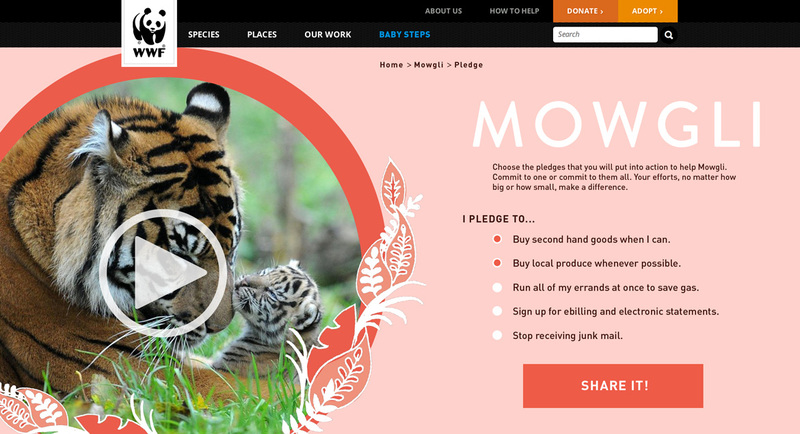 Visitors to the site learn about young animals and their habitats, then pledge with their actions instead of money. 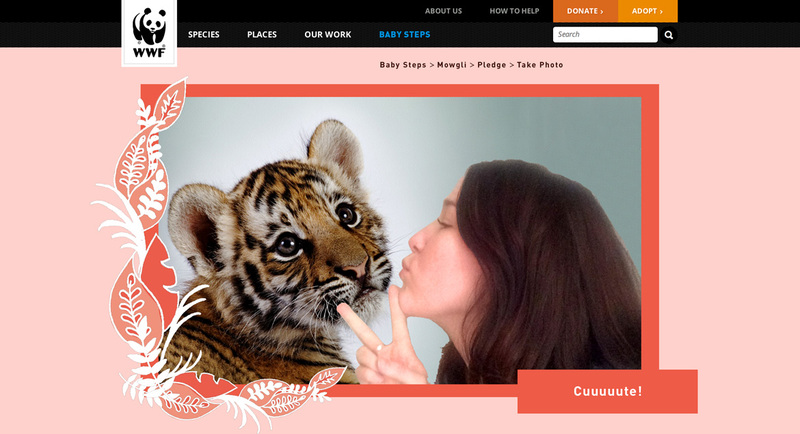 In return, they get to have a mini “photo shoot” with the animal of their choice!